Jessica Diaz is the youngest child in her family and the first to go to college. Twenty years ago, before Jessica was born, her parents came to the U.S. from Mexico. Today, they are close to getting their U.S. citizenship. 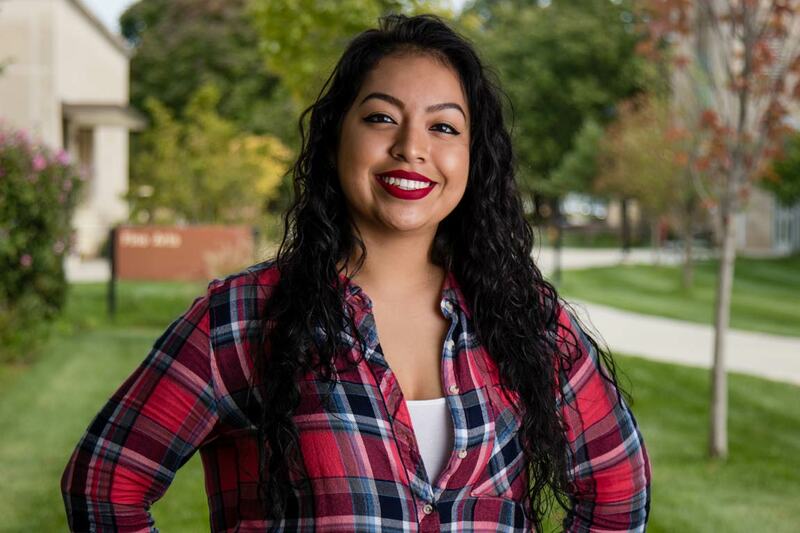 For Jessica, being a first-generation college student had its own set of challenges, but she has found support and connections at IU South Bend to help her succeed. The summer prior to her freshman year, she participated in the Leadership Academy - an educationally-focused summer program for incoming freshmen - to help her prepare for the rigors of college. “It helped prepare me academically, and it was a great way to make friends.” In turn, Jessica served as a peer mentor to help other IU South Bend students make the challenging transition from high school to college. After observing the birth of her nephew and the excellent care the labor-delivery nurses provided her sister, Jessica decided to change her major from radiography to nursing. “I wanted my career to be more hands-on,” she said. “It took me awhile to discover my passion.” She’s completed the nursing pre-requisites, and she’s applying to be admitted into the nursing program. She noted that the close attention she’s received from her professors has helped her thrive as a student. In addition, she joined the Latino Student Union, and she’s been a Zumba instructor at the Student Activities Center for three years. It’s helped her feel like she belongs at IU South Bend. Who else is blazing trails at IU South Bend?